ONE TICKET TO COOKIECON 2018!!! CookieCon is the place where all you dreams come true! With an International Sugar Show, Presentations, Open Decorating, Vendors, and Add-On Workshops...there really is something for everyone! Whether you've been decorating for years or have never decorated a cookie - this 3 day party is for you!! 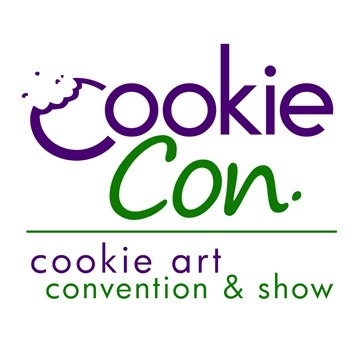 The next CookieCon will be held September 12-15, 2018 in Indianapolis, Indiana. 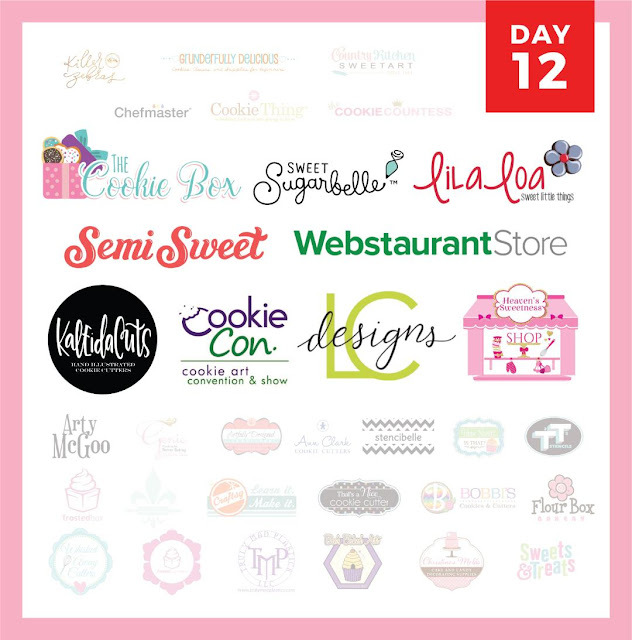 Today's Grand Prize winner will receive 44 New Shapes from 2017 plus 8 Never Seen Before plus a Shape of the Week cutter for 2018 (12 Monthly Shipments - 52 total cookie cutters for 2018)!!! I'm not sure if you guys are aware...but I'm kind of obsessed with Ann Clark Cookie Cutters. 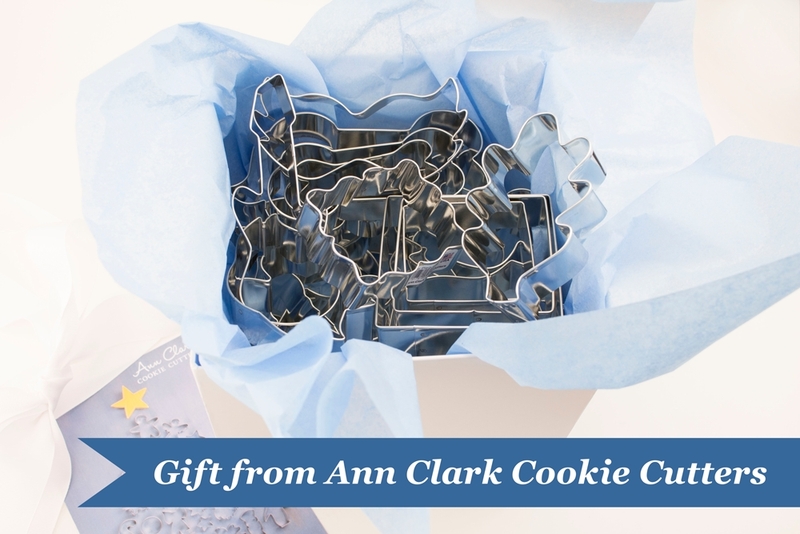 Not only are the cutters high quality and built to last...but I really like and respect every person I have ever met that works for or at Ann Clark Cookie Cutters. It's a family owned business that truly runs on family values. AND... their cutters are 100% American Made. Go on a shopping spree this year at Heaven's Sweetness Shop. From cutters to supplies...they have you covered. 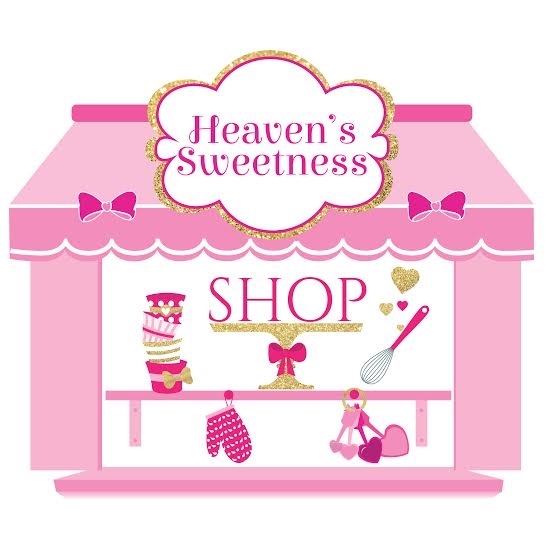 AND...Heaven's Sweetness Shop even carries all the new Sugarbelle cutters!! Working with talented cookie decorators to collaborate and produce cutters is a recipe for success! My personal favorite cookie cutter from The Cookie Box is definitely this Chubby Elephant!! SO adorable!! 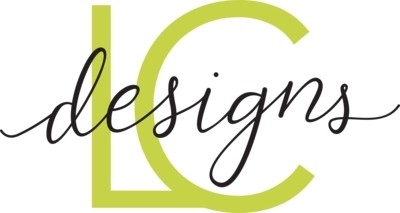 Kaleidacuts is the original hand-lettered cutter shop. It's got all the whimsy and bows and cuteness you can stand. With over 800 products...this is one gift card that won't be hard to spend. Semi Sweet is one of my absolute favorite cutter shops. Each cutter is made with the end result in mind -- sturdy, easy-to-decorate cookies that will impress even the decorator. Semi Sweet also sells supplies and lapel pins AND has tutorials for every cutter in his shop!! Save counter space (and kitchen table space, and dining room table space, and couch space...) with a half-height bun pan rack! Don't worry - you can use your half-sheet size baking sheets in this rack too! Just slide them in sideways and you can fit two on each shelf. I got my own half-height rack from Webstaurant Store last year and even though it was quickly commandeered for lego storage...I can tell you that this thing is made to last!!! The last prize is one final thank you from Callye and I for all of your support and encouragement over the years. You guys are the reason we stay up until 2am decorating cookies or editing photos or writing blog posts (that really, in all honesty...probably should wait until after we've slept) or designing cutters or creating tutorials. You keep us going and we are grateful. This special "Thank You" includes: two of Callye's all-time favorite cookie books, Het Koekboek, by Marielle De Vroom and How Sweet by Yoko Takahashi, her new alphabet and birthday cutter sets, a Stencil Snap, and the not-yet-released Shape Shifters 2! 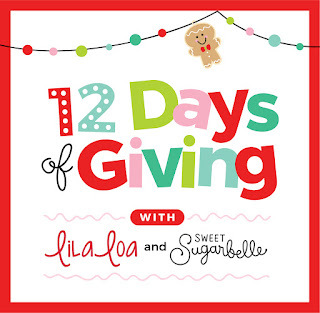 Because it's such an awesome prize - we want to give you as many chances as possible to win!! So YOU CAN ENTER EVERY SINGLE DAY that the giveaway is open!!! Get started by clicking that Easy Entry button below, earn more entries by visiting today's vendors or sharing with a friend...and then come back tomorrow and do it all over again!! Giveaway ends at midnight on December 15, 2017. Must be 18 or older to win. Winners will be notified within 24 hours via the email address used to enter below and must respond within 48 hours or a new winner will be chosen. (Please, PLEASE use an email you check often!!!) Once the giveaway closes and winner has responded via email, the winner's name will appear in the rafflecopter widget below. Giveaway open internationally. Good luck! !